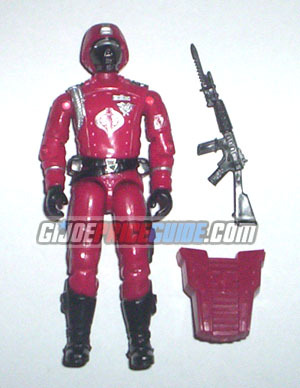 NOTES: The Cobra Crimson Guard is another popular Cobra army builder. Check for the quality of the black paint on the mask and the silver cobra symbol on the chest. This figure came in two different shades of red. There is also a harder to find backpack that is completely hollow.